This week I am reviewing something quite different on the blog. I am a huge fan of foam cleansers, as I feel they cleanse my face thoroughly. I have my holy grail foam cleansers that I use daily as they remove all my makeup and dirt without stripping my face from oils or making it dry. I therefore never gravitate to cleansing oils and butters as I feel that these are not necessary for my skincare routine. I also do not like the feeling of heavy oils on my face so I prefer foam cleansers that can be easily washed away with water. If you have sensitive and dry skin, you might love oil and buttery cleansers because you may feel that it is less harsh than a foam cleanser and it leaves your skin feeling soft and smooth. 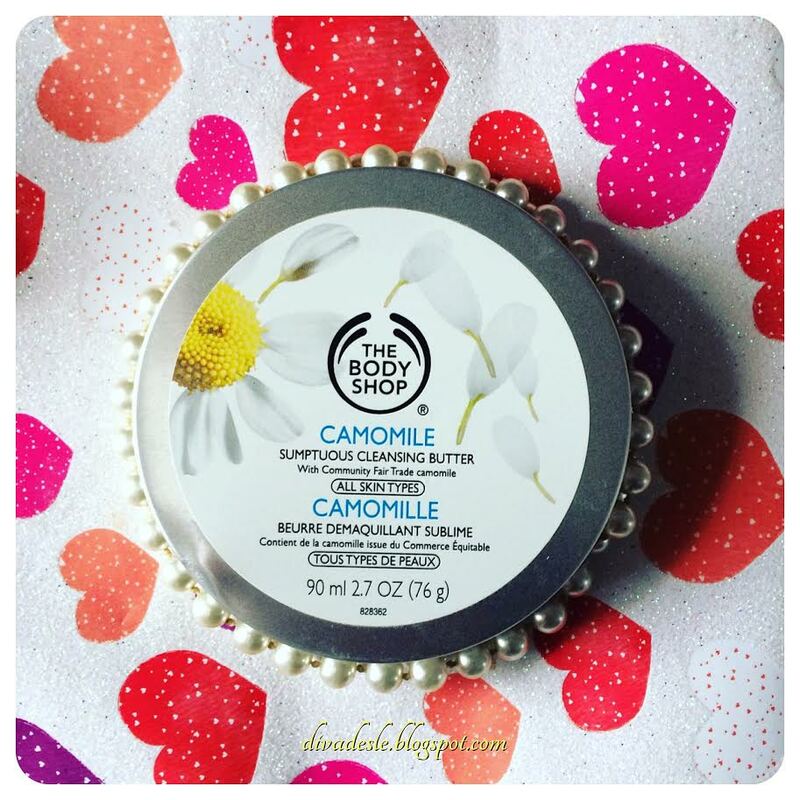 I received a box filled with The Body Shop goodies in the mail and one of the products was the Camomile Sumptuous Cleansing Butter. I had no idea how to use it so I set off and did some research. I then tested it out on my face and here is my review. 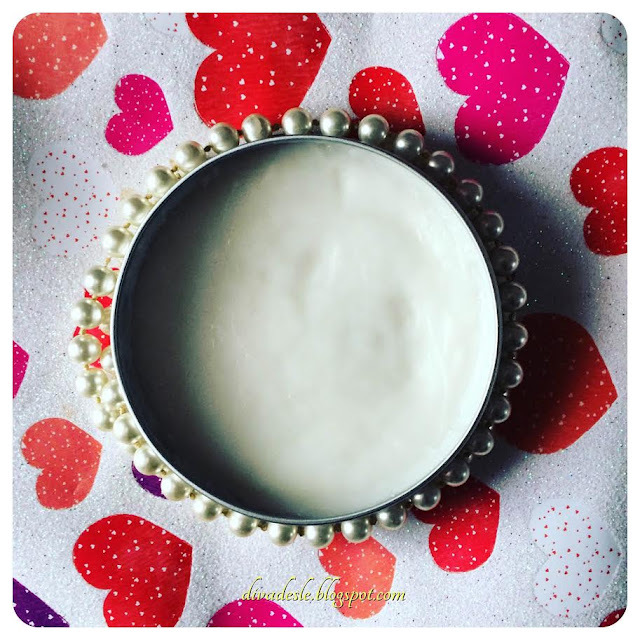 The cleansing butter is packaged in a silver tin and holds 90 ml of product. I am not really impressed with this type of packaging, because you have to use your finger to scoop out the product which is not very hygienic. If you suffer from acne it would be best to use a spatula to scoop out the product as not to contaminate the tin with bacteria. Nevertheless the tin is not heavy at all and quite flat so it can be easily packed in your travel bag. This cleanser contains chamomile extracts, along with Shea butter and sunflower oil. Chamomile is widely known for its anti-inflammatory, antifungal and antibacterial properties. By the way do you remember your mom dabbing chamomile lotion on your chicken pox and skin irritations when you were small? I certainly do! ;-) Shea butter of cause is famous for adding intense moisture and containing vitamins and fatty acids just like sunflower oil to nourish your skin. The butter contains fragrances too which are actually really lovely. It has a clean floral smell that is not overpowering but very gentle on the senses. The product has a smooth wax type of texture. It is very soft and you can pick up the product easily with your fingers. The cleansing butter melts fairly quickly on skin contact and turns into a oil once rubbed in the warmth of your hands. As I mentioned above I am not a fan of oil cleansers, so I was super sceptical about this product. The one thing that bugs me most about oil cleansers is the fact that I prefer to wash my face with water. I hardly use cleaning wipes and muslin cloths as I feel it is a waste to the environment. As you know, water and oil is not a good combination. So before using this product I was worried that the product would not rinse off well with water and I may need a cleansing wipe to remove the product off my face. I decided to test this with a full face of makeup. I scooped out a bit of product onto my hands and rubbed it all over my face in circular motions. To my surprise the butter broke down my heavy makeup, from my foundation to my stubborn eyeliner around my eyes. The oil felt very smooth and gentle on my face. It did not irritate my eye area or clog up my pores. Now came the real test, which was using water. After I felt I broke down most of my makeup I then rinsed my face. The water actually removed the cleanser easily. There was no unwanted residue on my skin. I then used my face cloth to dry my face and wipe off any excess eyeliner around my eyes. I was quite impressed with the job the cleanser did. My face looked and felt clean. There was no layer of excess oil on my face. Since I am not a fan of oil cleansers, I decided to test this out on my makeup brushes. I added some product to my brushes to see if it will break down the makeup and give it a deep cleanse. Unfortunately this did not work well in cleansing my brushes. It left a oil type of residue on them, which is weird because it does not leave a oil residue on my face. I think the oils just clung to the brush fibres with more vigor. So I had to go in a second time and clean the brushes again to get rid of the oil. To conclude this blog post I recommend this product if you are a huge fan of oil cleanses as this one did a great job in melting off makeup and cleansing my face. If you do not have access to water for whatever reason this too is a great product to use with a muslin cloth or cleansing wipes. I personally would not buy this as I am set in my foam cleanser ways but if you adore these types of products definitely check it out. Hope you found my review helpful. I am definitely on the lookout for a new cleanser as I'm not sure if I will repurchase my current one. Seriously finding a new one to trump my Clarins one is near impossible! Hehe I swear you spoiled it for me and other cleansers. Clarins = Holy Grail in my eyes now! I have never heard of a cleansing butter Desle! But after you explained it, I could see why it worked. A couple of years ago, I doubted Cleansing OILS and they are EXCELLENT at breaking down makeup etc. EXCELLENT! This sounds like a happy medium and to cleans your brushes too. I will have to give it a try. Chamomile is also so relaxing.